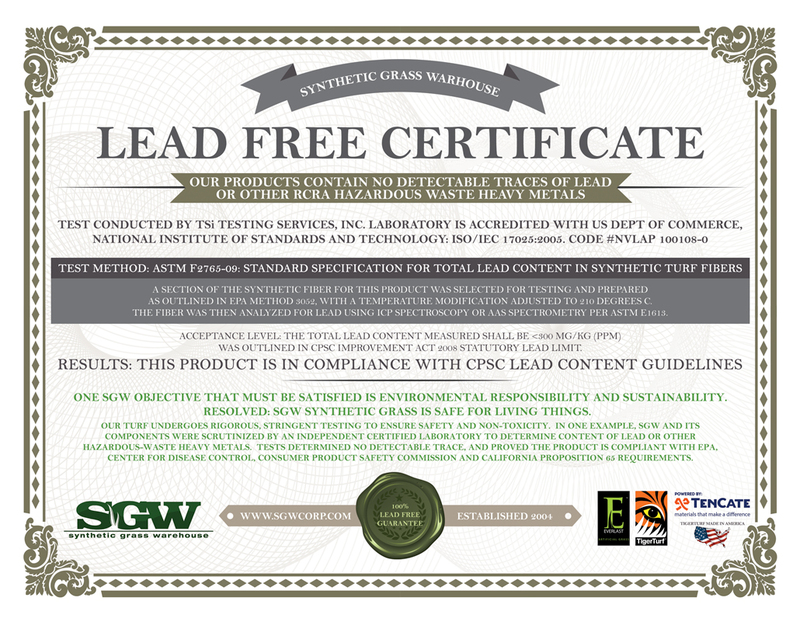 All SGW artificial grass products are built to be safe, and guaranteed lead free. A section of the synthetic fiber was selected for testing and prepared as outlined in EPA Method 3052, with a temperature modification adjusted to 210oC. The fiber was then analyzed for lead using ICP spectroscopy or AAS spectrometry per ASTM E1613. The above synthetic turf fibers are in compliance with CPSC lead content guidelines.